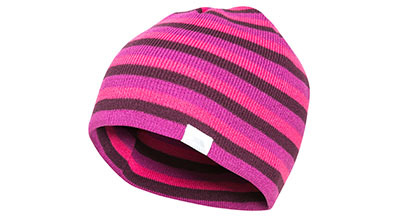 The Kezia women’s striped beanie offers a simple hat, perfect for a range of uses when the weather is cold and you need to wrap up warm. 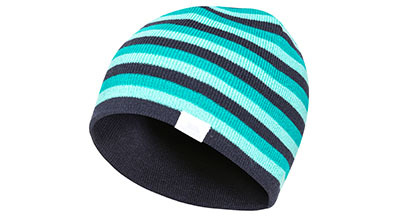 This knitted beanie has a stretchy, comfortable fit with a thermal design, so it traps in heat to keep you comfortable in cold conditions allowing you to head out for walks, runs or even commute in comfort. 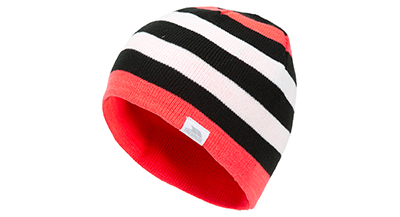 The Keiza beanie is also reversible so you get two looks in one, with a stripe option on one side and a plain block colour on the other.